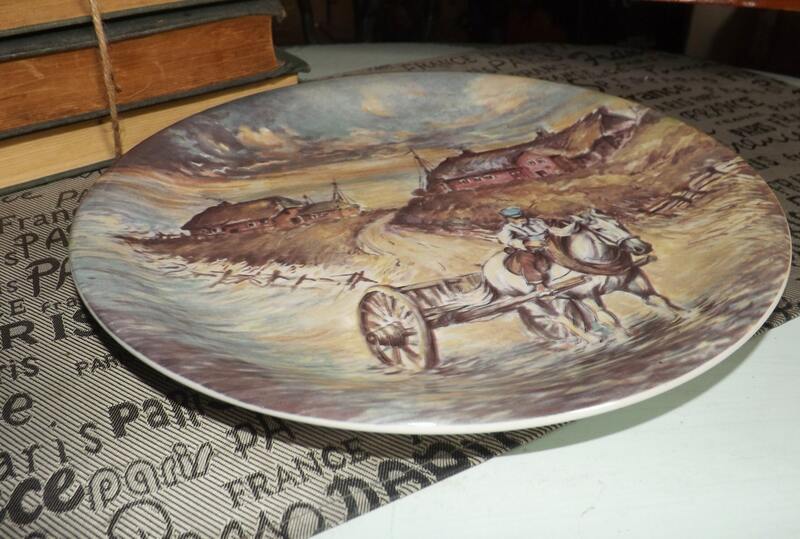 Mid-century (1950s) Royal Staffordshire plate featuring a horse and cart country scene with a gold edge. 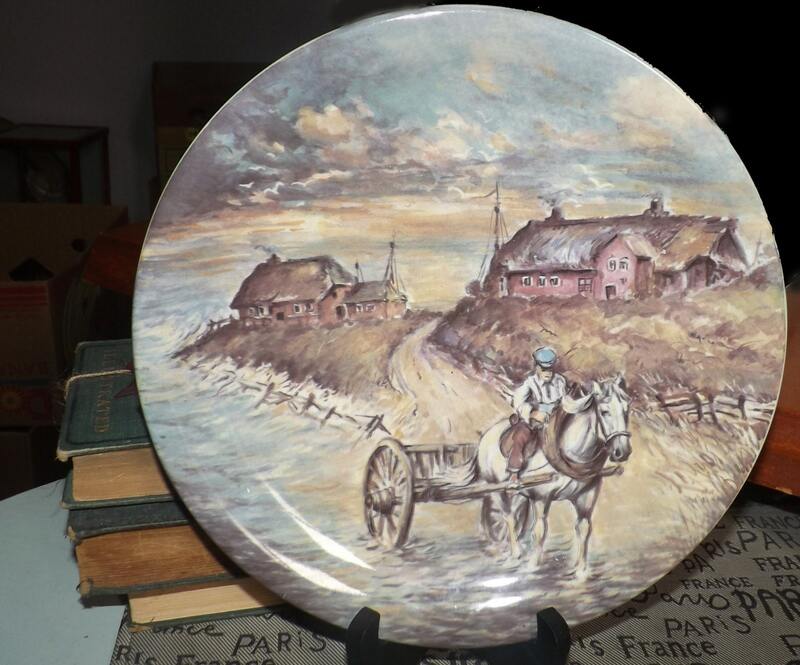 Mid-century (1950s) Royal Staffordshire ironstone plate with an English countryside theme featuring a horse and cart with driver going along a country road passing cottages in the background. 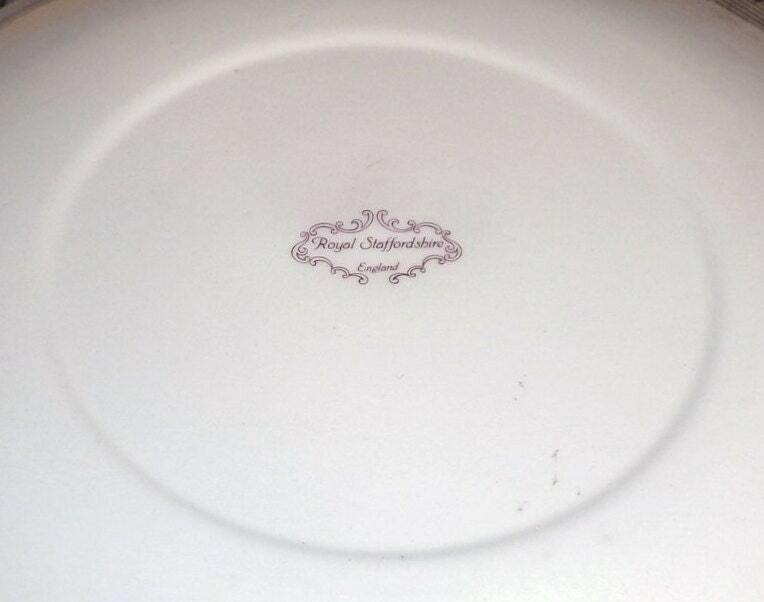 Plate has a smooth gold edge and a slightly coupe shape. In EXCELLENT! vintage condition with NO! chips, nicks, cracks, or fleabites, NO! crazing, NO! gold loss to the smooth edge and NO! marks, stains, scratches or other signs of use or wear. 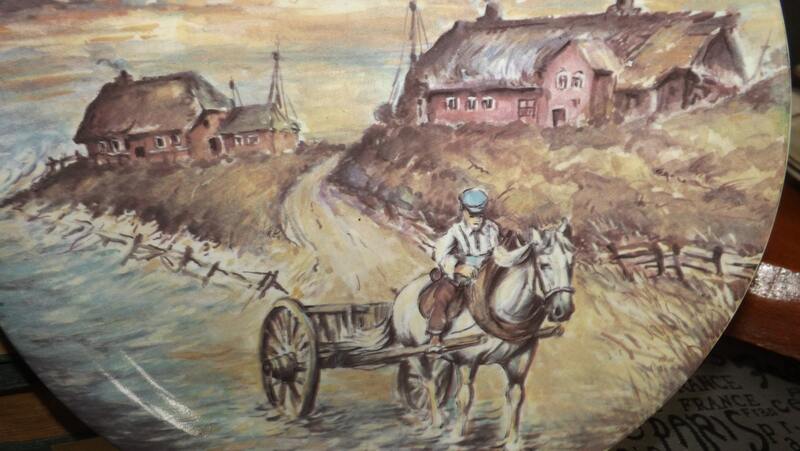 The central horse and cart and countryside landscape imagery is vivid and clear with NO! noted fading. 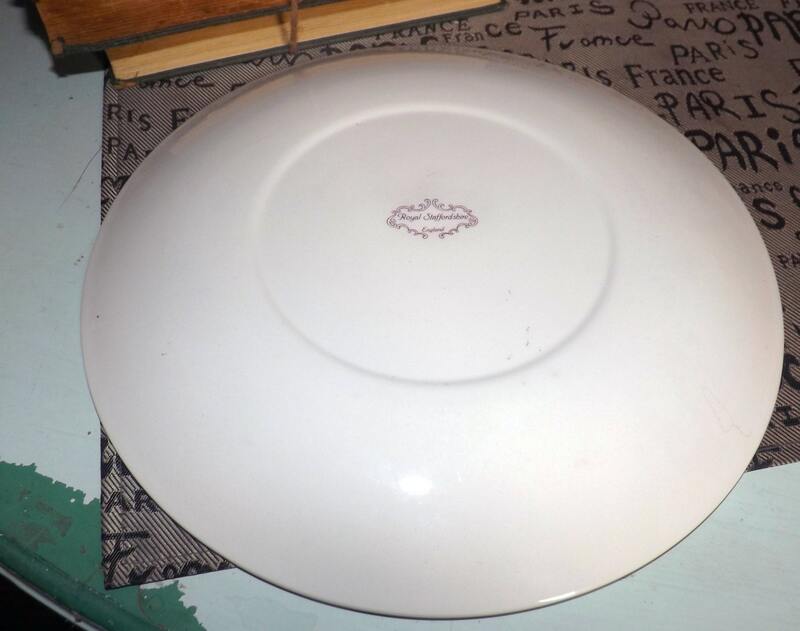 Measurements: 10" in diameter with a smooth gold edge and a coupe shape.